The 1970 Topps Super Glossy Football Cards were issued as inserts and included inside the 1970 Topps 2nd series football wax packs. It is comprised of 33 full color cards with rounded corners. Each card measures 2 ¼” by 3 ¼” and has a shiny finish. 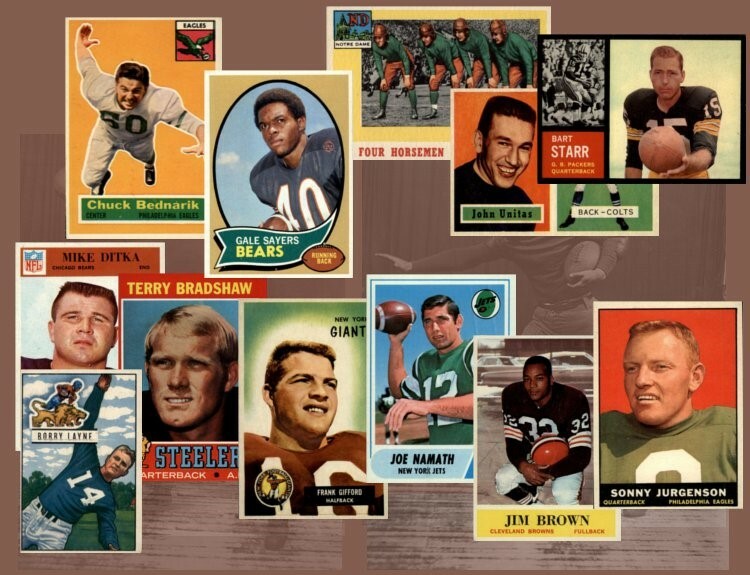 The 1970 Topps Super Glossy Set was loaded with stars, 16 of which are in the Hall-of-Fame, and is one of the most popular football insert card sets with collectors. CLICK HERE if you want to sell your 1970 Topps Super Glossy cards.